Truth: Joan Silber is one of my favorite people on the planet. When I first read her book Household Words, I carried it around, rereading it, underlining passages, so haunted, I couldn't put it down. I eventually tracked her down and had lunch with her, and we became friends. Actually, one of the high points of the Jewish Book Council auditions was seeing her there--like the best kind of surprise! Even better, at the reception, when I drifted into a room off the side just to get a minute of alone time--Joan was already there! Her new collection of short stories, FOOLS, is, in a word, genius. And I'm not the only one who says so. The Boston Globe raves: Silber deftly constructs whole, fully realized lives in just a few pages." Publishers Weekly, in a starred reviews, says: "This tightly constructed collection shows her talents at their finest. " 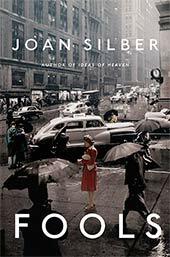 Joan's first book, the novel Household Words won the PEN/Hemingway Award. 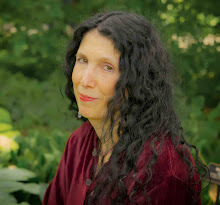 Her four other works of fiction include: In the City , In My Other Life , Lucky Us , Ideas of Heaven: A Ring of Stories, finalist for the National Book Award and the Story Prize, and The Size of the World , finalist for the Los Angeles Times Prize in Fiction and one of the Seattle Times’ ten best books of fiction of 2008. In the summer of 2009 she published a nonfiction book in Graywolf Press’ “The Art of” series, The Art of Time in Fiction.\She’s been the recipient of an Academy Award in Literature from the American Academy of Arts and Letters, a Guggenheim Fellowship, and grants from the National Endowment for the Arts and the New York Foundation for the Arts. 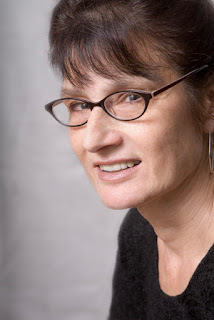 Her short fiction has twice been chosen for an O. Henry Prize and twice for a Pushcart Prize. 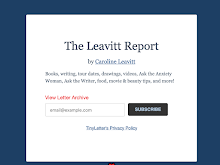 Stories have appeared in The New Yorker,Ploughshares, The Paris Review, and other magazines. Her most recent story, “Fools,” appears in the winter 2009 Northwestern Review. Joan teaches fiction writing at Sarah Lawrence College. She’s also taught at New York University, the Warren Wilson College MFA Program for Writers, the University of Utah, Boston University, and the 92nd Street Y. Her summer teaching has included conferences at Napa Valley, Bread Loaf, Indiana University, Manhattanville College, Stonecoast, Aspen, and Sarah Lawrence College. Thank you so much for being here, Joan! I loved Fools. So much of it pivots around the whole issue of the small choices we make that have long range impacts. Can you talk about this? Your question about small choices reminds me that I have a slightly odd sense of drama. In my stories, people amble along and are surprised by what happens. In most of what I write, people go deeper in spite of themselves. I love this inadvertency. I have to admit that while I was writing this book, the old tune “Everybody Plays the Fool” would occasionally refuse to stop playing in my head. Here’s a link on YouTube-. Tell me how you came up with the title, which I love? I came up with the title Fools when I was reading about anarchists; it was so clear that people have always laughed at them (do without government? are they crazy?) and I didn’t want them laughed at. When I had to say the title to people, I’d say, “But fools in a good way.” I love what you say about the “gift” of being a fool—it has to do with sacrificing a self-image to something higher. And I think we worry too much about being in that role. And the Blake quote I use in the front—“If the fool would persist in his folly, he would become wise”—is like a plot distillation for fiction writers. Fools moves back and forth through time, and sometimes character reappear in stories. Did you always know this was the structure? Did anything surprise you about it? Okay, the time question. Even when I was young, I was interested in long time-spans (the first novel covered twenty years) and this interest naturally increased as I got older. I count Alice Munro as the writer who showed me how stories might contain great sweeps of time—and do it more strikingly than novels. And once I started connecting stories (this is the third book of linked stories I’ve done) I had another way to follow consequences over years and years. This pattern also helps me think of new stories—I look for threads I can pick up. These maneuvers with time have helped me try to make the work bigger. I always think I’m a miniaturist by nature—I like to get in very close—and I wanted the work to have a wider perspective, a more spacious feel to it. More in line with what my beliefs are now. What’s your writing life like? I’m a steady writer. I show up at my desk after lunch and sort of try to work until dinner. I revise the sentences as I go—I don’t go through multiple drafts. I take notes before I start to write, but I’m always surprised later at how little is there—I thought that was going to be a whole story? More stuff is required than I ever think. I’ve been obsessed about questions of freedom and solitude. At the end of Jane Eyre, Jane says she and Rochester are “as free as in solitude, as gay as in company.” (Most people probably do want both.) Our culture tends to view solitude as something no one would ever want, but the freedom in it has great attractions; in Fools I was working on this in the story, “Two Opinions,” where Louise carves out her own form of separation. And it’s come up in two stories I finished since Fools. I just saw a show at the Asia Society in New York—The Artful Recluse: Painting, Poetry, and Politics in 17th-Century China. Amazing landscapes--and they say recluse like it's a good word. I think a good deal about stories versus novels. I feel that I'm working in a hybrid form, and I have the sense there are now more books like this--composite novels, linked stories. I'm glad.